[New for 2014] Alright, four new Talenti flavors in the pipe (including the exclusive Target hazelnut flavor), and we've already tried the excellent caramel apple pie flavor. Now this next one popped up in the southeast first at the end of last year, but it's here now in the northeast. Let's dig in! Man is this flavorful. It's almost got a dark chocolate vibe to it. Not so much dry or bitter as it is complex and rich. 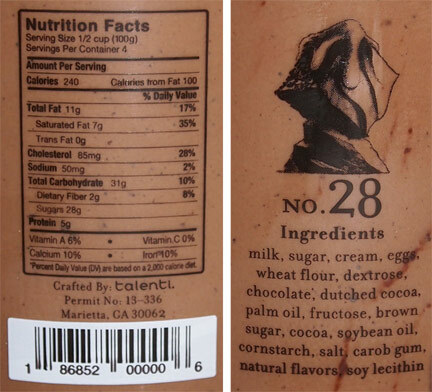 Oh Talenti, this is why all other gelatos are compared to you. Brownie Bits!! They are about the size of a large pea and there's a distinct wheat flavor to them. There's not a ton of them, and more brownie grit would be cool here, but I've still got this neat base to slow scoop and enjoy.. There isn't a swirl in a traditional sense,oh it's there, but it's just spots of it here and there. I can't seem to spoon enough to get a true read on it. That said, I'm guessing it's adding to the darker nature of the chocolate base (without overpowering any of my bites). I really think people are going to appreciate this addition to the line up. 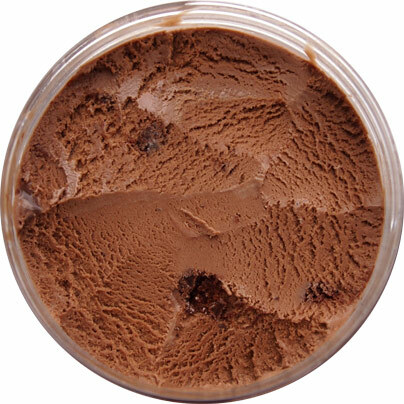 It's darker then the Belgian, but not as dark as their double dark chocolate gelato. It adds a nice middle step and is a great example of how you round out a frozen line up. On Second Scoop: Ok, I just took a "few" more bites while I waited for my lunch to cook and realized something. You know what this reminds me of? A Hershey chocolate bar. There's always been something distinct about their chocolate and something here reminds me of that. 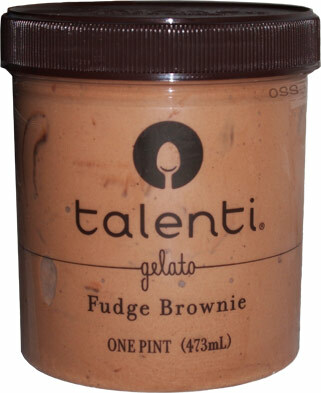 This, like every other Talenti flavor, is doing it's own thing. Give it a try to see how it suits you. I agree with Denice. It comes second to B&J. It's not quite the "brownie" flavor that I want to be. When I think of a brownie I think rich, deep, dark, full of flavor. This doesn't do it for me but it's a pleasant experience. This is my favorite night time snack! I like this stuff so much more than normal ice cream. Its light and fluffy with a great texture! Sooo good!